The best way to protect yourself is through awareness and education. 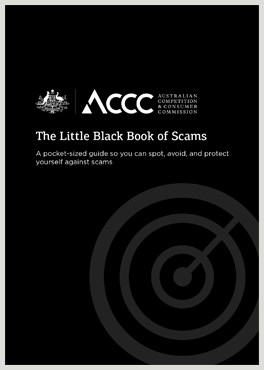 Individuals and community organisations can place an order for The little black book of scams by emailing publishing.unit@accc.gov.au or by contacting the Infocentre on 1300 302 502. We only deliver to addresses within Australia.